With ample power supply to power your everyday needs, Livguard Inverter Batteries let you focus on treasuring only precious moments as you continue to live uninterrupted. 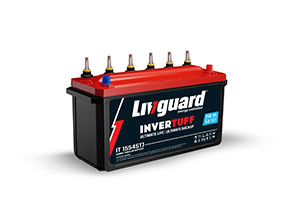 Come, live the energy unlimited lifestyle with Livguard Inverter Batteries! Built with superior plate grid design and high electrolyte volume, Livguard inverter batteries deliver enhanced performance, every single time. 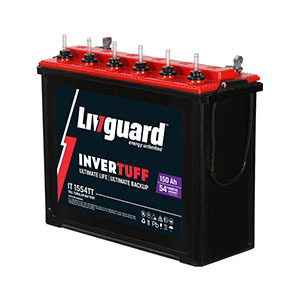 Our range of inverter batteries promises uninterrupted supply of electric power for long hours, which is why it is perfectly suited for Indian power conditions. Let us help you find the right Inverter and Battery for your backup requirements.